Just back from: Prague, Czech Republic. Was it your first time? Yes. How long were you there? 36 hours. Why did you go? I've always wanted to see this city of castles and gothic churches, and since I'm living in London, it was an easy time to visit. The flight time is less than two hours. Who were you with? My 9-year-old daughter, Kate. She is the most curious, easy-going traveler ever. What was the best tip you got before you left? I had been warned me about trying to visit Charles Bridge during crowded daytime hours when everything is jammed with vendors and tourists. We took an after-dinner stroll instead. It was calm, and the fairytale castle was twinkling in the distance. The second tip came from a Trip Advisor post warning that cobblestone streets are hellish on the feet, especially in the colder winter months. So we packed thick, rubber-soled shoes, and that made a huge difference. What's the #1 tip you'd give to a friend who wanted to go? Stay at the . 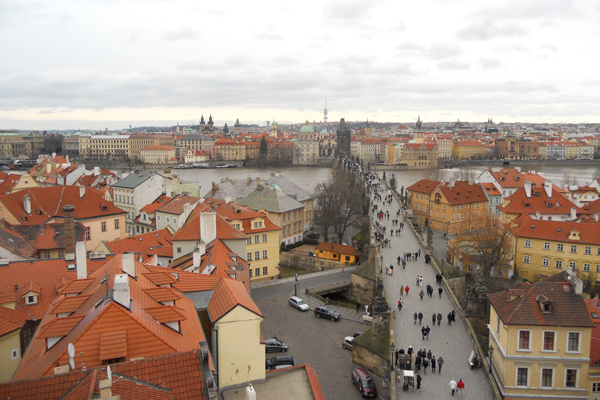 It's perfectly situated for exploring the New and Old Towns, the Prague Castle, Old Town Square, and Wenceslas Square. They also completely get kids: Those in-room amenities go a long way. (My daughter is a sucker for a robe, slippers, and colored bath tints.) Oh, and bring comfortable walking shoes for sure. Those cobblestones are everywhere. What did you do: We knocked it out in a day. 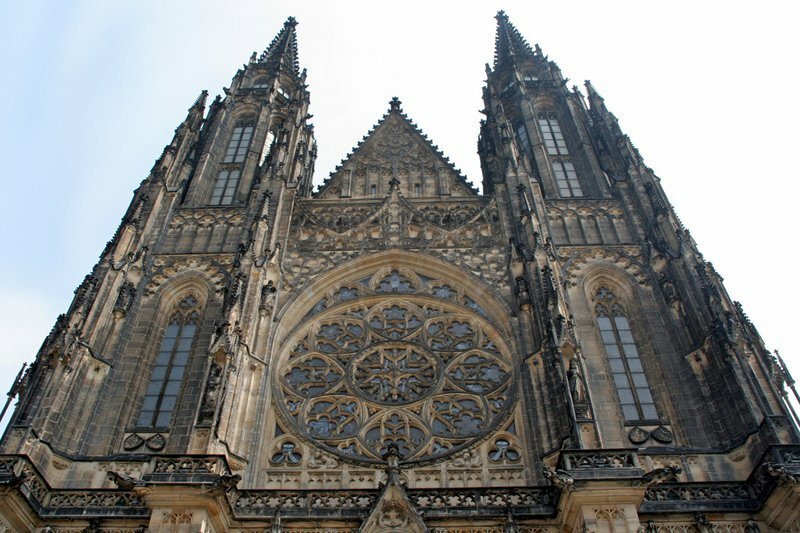 First stop was the castle complex to visit , the Monastery, and St. Vitus Cathedral, which has stunning stained glass windows. Then a bit of light shopping — puppets, postcards — followed by a delicious lunch at . Arugula salad and prosciutto have never looked so good. Our afternoon was spent climbing the Old Tower Bridge for views of the city (this is vertigo-inducing), crossing the Charles Bridge, exploring the Jewish Quarter, and the Old Town Square. After watching the gorgeous Astronomical Clock ring, we enjoyed strudel (the local specialty) and coffee in one of the cafes along the square. After relaxing at the hotel (read: bad TV, a wonderful bath, and teatime), we headed to a festive dinner at Barock, complete with a slightly cheesy piano player. Lovely view across the street to the Jewish synagogue and cheerful service, too. Were you there for the right amount of time? I tend to have a short attention span, so 36 hours anywhere works well for me. I would, however, love to see Prague in summer when everything is in full flower, so maybe I'll make it a whole weekend next time. This was especially great: The castle complex at night is pretty spectacular, especially with a light dusting of snow. Think Anna Karenina meets DisneyWorld. But this wasn't: The food, generally speaking. I had flashbacks to Russia: not too many vegetables, lots of fried things, beef goulash at every turn. My only other gripe was that there are few crosswalks, and getting slammed by a high-speed tram is a very real possibility. 1. Meal: Tough one. is as much of a scene as Prague has to offer, and their mix of incredibly fresh sushi, typical Czech dishes, and meat was good. Any restaurant with the tagline "delicious meal and beautiful women" is going to be a hoot. 2. Neighborhood: The Jewish Quarter. 3. Site: The baroque splendor of St. Nicholas Church. 4. Café: . Near the hotel and perfect for a light meal and a glass of wine. Kodak moment: Snow falling around the Old Town Square as we watched the Astronomical Clock — with its procession of the twelve apostles — ring out on the hour. The view from Christina's room at the Four Seasons Prague. Thing you didn't get to visit: The Christmas Markets are meant to be wonderful, so I'd like to return for that sometime. The beer gardens are also supposed to be festive and fun during the summer. But next time I am going to check out , a Rocco Forte hotel in a former monastery that still has an order of friars living on-site. Apparently, they will take you for tours around the libraries, cloister, and church. What did you bring back? The Czech Republic is the land of marionettes, so we brought back a spectacular Pippi Longstocking puppet for Kate's room. We scored a matryoshka doll set of the LA Lakers for my son — handmade in Prague and featuring all of the players (Kobe Bryant, Lamar Odom) in one case. The perfect mix of Americana and local color! Would you go back? Definitely. Any surprises? It was much smaller and more walkable than I had imagined. It was also architecturally beautiful throughout — not just the famous sights. Even the offices and apartment building are spectacular in that Parisian way. I was surprised at the weird US brands that kept cropping up — TGIFridays and Hooters seem remarkably out of place amidst all the medieval, romanesque, and gothic beauty. I was also pleasantly surprised by the customs procedure at the airport — or the lack of it. No landing cards, only a cursory glance at passports, and just a big smile from the agent. Not exactly a JFK experience! I can't stop thinking about: The spectacular view from my bed, overlooking the Vlatava River with Prague Castle and St. Vitus Cathedral in the distance. У нашей организации интересный сайт на тематику https://sribnapidkova.ua. Christina, a Popupla contributing editor, writes about travel, food, fashion, and design for the Financial Times' How to Spend It, Town & Country, and Conde Nast Traveler. She travels the world to teach her kids (and herself) about the world around them.